Every American (except most vegetarians) gets a jones for a burger on the regular. Some might think it's a guilty pleasure from a healthy eating standpoint, but most usually cave ​into this longing. From fast-food places to traditional sit-down restaurants, there are a ton of places to get a good, juicy burger in ​San Antonio. Whether you want an original bare burger with condiments or those loaded with cheese and/or refried beans or topped with bacon, mushrooms or jalapenos, you'll find it at one of these restaurants. A San Antonio establishment, Chris Madrid's is a comfy restaurant with a full bar on one side and a patio. Try the Tostada Burger, a juicy hamburger with onions, refried beans and a large chunk of melted cheese. It really is better than it sounds. If that's not your thing, try the Flaming Jalapeno Burger or Porky's Delight. 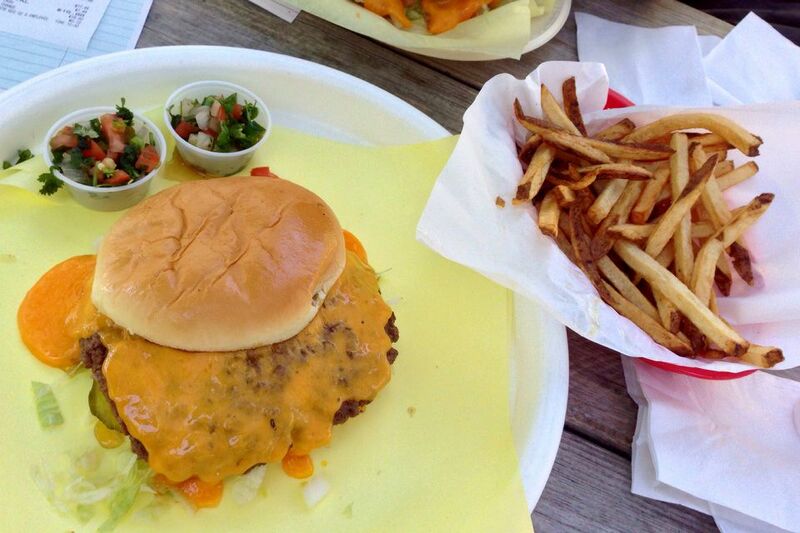 In nearby Helotes, there is a great burger joint that prides itself on being just that. Try the famous Jalapeno Cheddar Burger and a homemade milkshake. The Longhorn Cafe serves lots of different types of food. It's not a burgers-only joint, which is why the fact that its burgers are among the best in the city is fairly amazing. But go with an appetite -- the burgers are really big. Try the Big Juicy if you want proof. You'll need a to-go box. Some of the best food in town comes from small, blink-and-you-missed-it eateries. Burger Boy is one of those. Everything is cooked to order, and you can double your burger for just a little more cash. Try the Bates Special -- it's not "Psycho" like the movie. The bread is toasted, buttery and some of the best in town for those who think the bun is overlooked in the judging of burgers. Chester's has hot burgers and lots of cold beer, including dozens of imports. Try the onion rings to go with your cheeseburger; they are delicious and not at all greasy. The green chili sauce is fantastic if you want to add spice to your burger. The atmosphere is laid-back, and the decor resembles Hooters, though there are no servers; everything is self-service at Chester's. This hybrid restaurant is also a bar and a live music venue. But you can eat your burger in a separate room if the band is not to your liking. Get a small burger or go for the 1/2-pound version if you have a bigger appetite. Cheese lovers will love Sam's gloppy, gooey cheeseburgers. This tiny hole-in-the-wall joint is a Southside establishment. The burgers are juicy and hot. Try the onion rings instead of the mediocre fries with them. And it is all really cheap. You can eat for around the same price as Burger King, but the food is way better. If you like cold beer, country music and burgers (or any combination of the three) then try Chunky's Burgers. Its wooded location makes it seem like it's in the suburbs, but it's really smack dab in the middle of the city. If you can't decide between the rings and fries, order the "frings," which is half of each.